Rarely does one get such a perfect view into such normally secretive operations as steel mills. 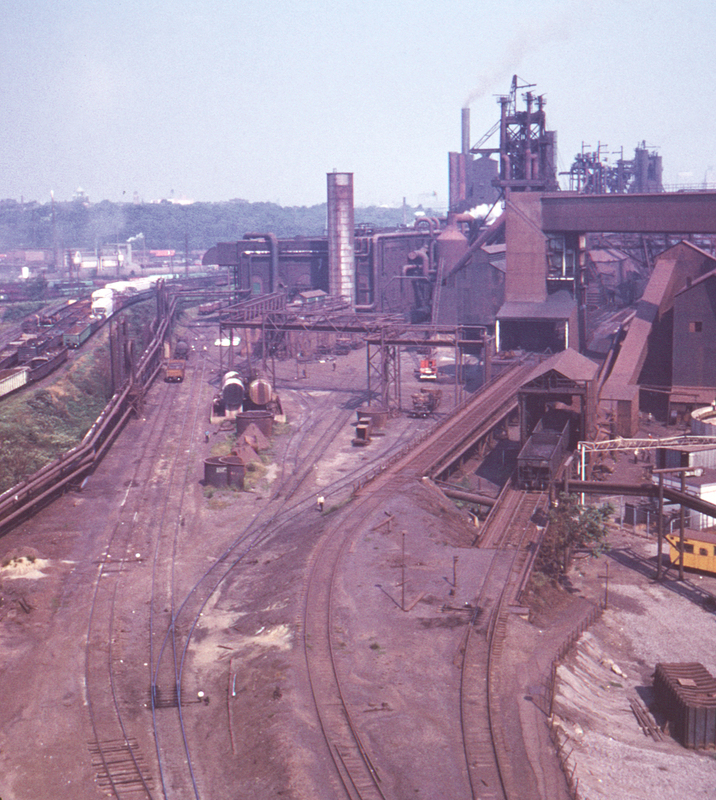 Here from Cleveland's Clark Avenue viaduct looking south we see one of the Jones & Laughlin Steel plants (there were several in the Cleveland area) in all its glory. The yards at left belong to the Newburgh & South Shore.